The official WBC had a nice departing article of us, depicting how we showed ourselves in this most recent World Baseball Classic. This is the first interview I did, before the WBC from my little dorm at Pirate city where the dutch team was training for the WBC. Interviewed by a huge baseball fan, and World Baseball Challenge coordinator Jim Swanson, who is also a writer for the Price George Citizen Newspaper. This is a pretty neat site I found charting some of my movement, and talking about me and a couple other pitchers in the WBC, dad you'll appreciate this. Another site featuring a graph of my pitches and stuff, even though apparently they think my submarine pitches are changeups. Seeing your happy face, I can't describe how happy it makes me!!! this is an amazing and informative write up Lee, with great links we had not seen yet...keep it up ... and ...what's this nonsense of staying in a high single A so you can have the nice weather... aim high ... Toronto is where you want to get to ... nice hot Canadian summers! im baseball fan in Japan. 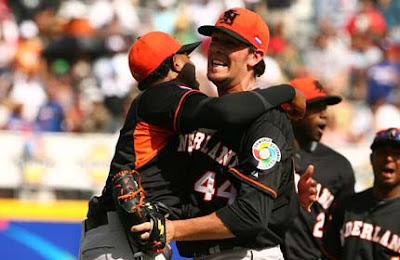 i watched all Dutch WBC matches and moved with your playing. 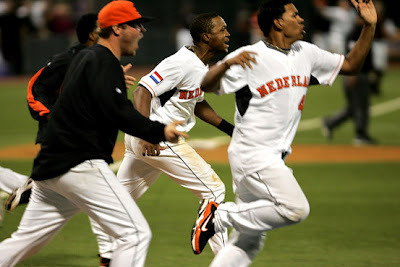 especially the games adainst Dominica ware the best i have seen at world baseball! 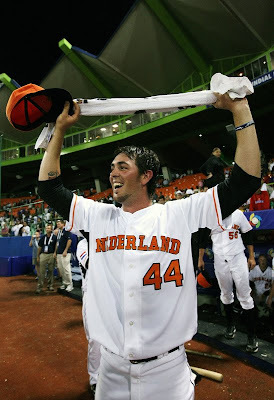 i hope Dutch baseball grow more. 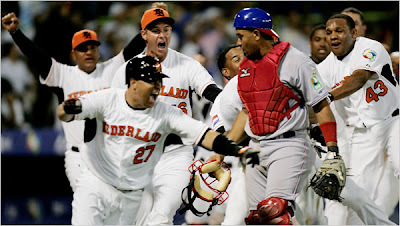 Japan will play against Nederland at the final of 2013WBC!